Back in DC this weekend and although I'm excited to relax, last weekend in Nashville was the best. I was able to see my family, friends, & fave hairdresser..it was the perfect combo. It flew by, so unfortunately I wasn't able to see everyone I wanted, but I'll be back sooner than later. Looking at you Columbus Day. 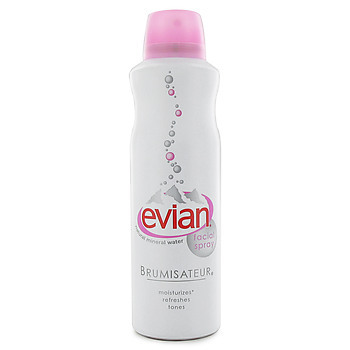 My Friday Fave this week is an oldie, but a goodie: Evian's Mineral Water Spray. Bring this with you when you're flying for a quick moisture boost after the dehydrating flight, bring it to the beach to cool off from the sun, bring it with you to work to use after that sweaty train ride, etc. It's a great item to keep in your purse for when you need that little bit of extra hydration (i.e. the Nats game this past Monday).